VAT or Value Added Tax has replaced the General Sales Tax, which is a tax on the consumption of a service or on the value added to a product or service. VAT is used to generate tax revenue to the Government. Unlike Sales Tax, this is levied on the value added services like packaging, handling and others at multiple points. VAT has to be paid by any person buying or selling goods or services in any form. With VAT, the intermediaries also get paid instead of the entire amount going to the Government. Any business, trading or manufacturing, single entity or in partnership or a private firm, selling its goods or services, should be registered for VAT. 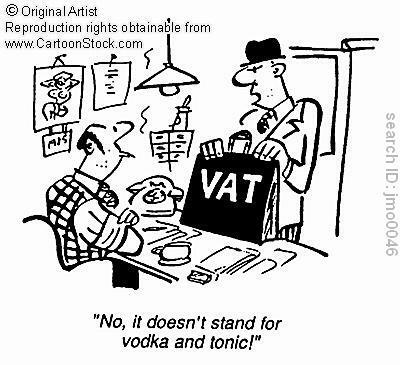 VAT was introduced from April 1, 2005 in India. 4 What is TIN no.? VAT can either be collected on accounts-basis or invoice-basis. Invoice-based collection is most popular and used in most of the countries except in Japan, where accounts-based collected has been implemented. In an invoice-based collection, the VAT is charged for the product or service by the seller and reflects on the invoice that is given to the buyer. However, in case of an account–based tax, no invoice is generated and it is calculated on the value added as a difference of revenue and purchase. Businesses over a specified amount of annual turnover need to register under the VAT system and get a VAT Registration Number. Specified amount of turnover depends on the state regulations. In most of the states this amount is Rs. 5 or 10 Lakhs. A person doing business or a legal entity is eligible to apply for VAT registration. Post registration, businesses is entitled to charge the VAT on their goods or services and also account for it to the taxing authorities. Businesses transacting with other VAT registered businesses are eligible for a VAT deduction on their purchases. The unregistered dealer cannot charge VAT on the invoices, so the buying dealer cannot claim the VAT amount paid as Input Tax Credit. Also, the unregistered dealers are not eligible for availing concessions, for e.g., exemptions, which are given by the government. The application for VAT Registration Number needs to be done with the specific commercial tax department of a particular state or local VAT Office, where the business is located. Step 1: VAT Registration Form is available with the Central Sales Tax office of the city. The applicant can collect the forms from the Public Relation’s Officer or the Registration Department. The forms need to be signed by a Sales tax professional. Step 3: After submission of forms, the place of business is inspected by the VAT authorities within a specific period. Step 4: After approval, the forms are processed after payment of registration fees to the local VAT office. Step 5: Then the TIN is generated and VAT Registration Certificate is sent within a week’s time via post to the applicant. The Tax Payer’s Identification Number (TIN) is new unique registration number that is used for identification of dealers registered under VAT. It consists of 11 digit numerals and will be unique throughout the country. First two characters will represent the State Code as used by the Union Ministry of Home Affairs. The set-up of the next nine characters may, however, be different in different States. The cost of the VSR (Voluntary Registration) is INR 5000. Apart from this INR 25,000 also needs to be paid towards the tax liability which can be claimed as refund later or adjusted against the tax implication (varies with state). For businesses with turnover more than INR 5 lakhs, the cost of registration is INR 500. In this case, both the sales and purchase accounts photocopies need to be furnished. The business needs to submit VAT Returns quarterly after auditing and sign off by a qualified CA professional.